Hey kid, back off! 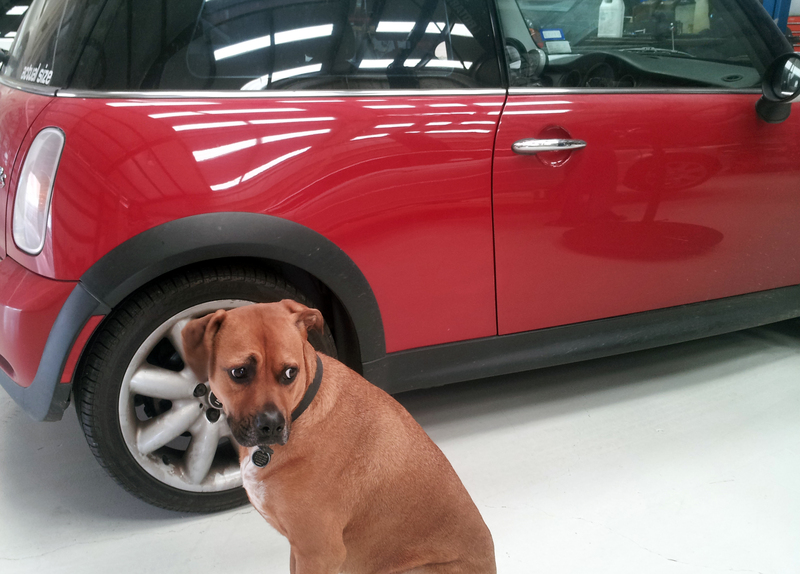 I am guarding this Mini Cooper for my daddy! Woof! I don’t care if you are suppose to change the brakes. Let me do my job! Woof! What ? Daddy says it is alright? Ok! Woof! Hey my name is Cooper too! Woof! Woof! Daddy says that Mommy named me after a car. I don’t get it, I’m not a car! Woof! Woof! Daddy says that Mommy is silly sometimes! I think she is too but I still love my name! Woof! Time for a nap! Just remember that we value your business and your vehicle! Come see me at Lone Star Bavarian and I will be sure to lick you!